52 years after its independence from Portugal, Daman nurtures new lives in this small union territory in India. With the intention of relaxing in its beaches, I marched along this little city in the month of March this year. But little did I know that a glimpse into Daman’s past would make me cognizant of the effects tourism has had on this coastal wonder. This report on the 20-year plan that the government announced in 2002, highlights how effectively tourism will harness Daman’s unique offerings and make it a win-win-win situation for the economy, the locals and the environment! The now deserted forts of Moti-Daman (Big Daman) & Nani-Daman (Little Daman) were once guarded by the Portuguese. However, with the intervention of the Tourism Department, these forts will soon have more visitors. Travel-packages that include heritage-walks, local cuisine and cultural shows will bring equal joy to tourists and the locals as they find more employment-avenues. 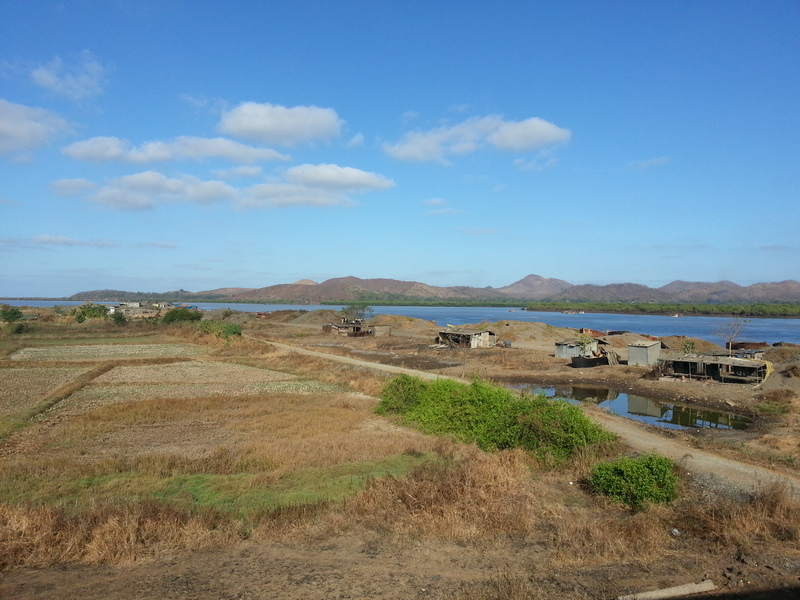 Positioning Daman as a pocket-friendly vacation-spot, the administrator is boosting its infrastructure. The construction of several bridges and a coastal highway are already under way. The most useful bridge, according to me, is the one that connects Moti Daman to Nani Daman. The other route will set you back by several hundred Rupees. I always wondered why the backwaters couldn’t be navigated via boats (which the fishermen use on a regular basis), and was ready to shell out more just to bob up and down the water. My prayers will soon be answered. The Waterfront Development Plan aims to maintain & develop the Devka & Jampore beaches, along with the Daman Ganga river and the place where it meets the Arabian sea. The waterway between Moti and Nani Daman is set to be opened to tourists! 🙂 The entire beach-line will get a retaining-wall to reign in beach-erosion. The sand on these beaches may be dark, but their future is certainly bright! The focus of this mega-plan is on the conservation of nature. Special care is being taken to avoid adverse impacts to the environment, with the alternate recourse being mitigation & compensation. The international cycle-track (under construction) is the hottest attraction in this soon-to-be eco-tourism hub! The inhabitants will now have a special part to play in the bigger scheme of things. Heritage walks and interaction with locals will now take tourists to Portuguese-style settlements too! Locally handcrafted bamboo and leather products are as much in demand as alcohol and fish. This spells a huge boon for the aboriginals. Daman was once regarded as the most poluted of all beaches due to industrial wastes leaking into its waters. But all that is now set to change for the better! Cleaner beaches, water-sports, boat-rides, walking tours, village-interactions… Do you need any more reasons to pack your bags and head to Daman? This entry was tagged Asia, Beach, Daman, India, Nature, Sightseeing, Tourism, Travel, Travel and Tourism, Travelogue, Trip, World Tourism Day. Bookmark the permalink.